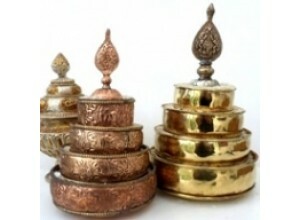 Mandala Sets in copper, brass, or silver plate, plain or with auspicious symbols embossed on the rings. 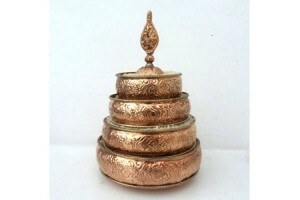 Copper mandala set with brass edging and auspiciou.. 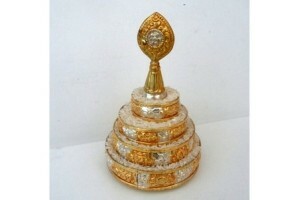 This is a substantial metal alloy Mandala Set on a..
Silver and gold plated mandala set. 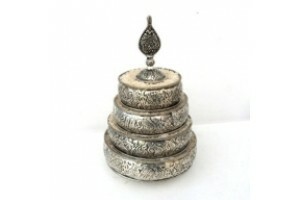 11cm diameter..
Silver Plated Mandala set with auspicious symbols ..